16 How Do you Confirm A Player Did Not Play? Clicking the sign up tab on the left side will bring you to creating your username and password. Once finished, you will enter the rest of your details. You are not obligated to deposit money during your sign up. Use promo code “Lineups” for the highest verified deposit bonus online. Monkey Knife Fight match 100% up to $50 for your first deposit. Click this link to find full details on our exclusive monkey knife fight promo code. Depositing money on Monkey Knife Fight is simple, while using any major credit card. There is a minimum deposit of $10. It doesn’t look that PayPal is supported just yet. Over/Under – Over/Under is a game where you choose the over or under on set stats for a set player. For example Julian Edelman will have a set receiving yard marker at 89.5, and you have to choose over or under. There are different versions of this game for different sports. You can also return a higher value for choosing more and getting more correctly. For example, if you get three out of four, you can return 2.53x your entry. If you select a style where you need to get five out of five correct, you can get 12x your entry. On basketball it runs for stats like rebounds, blocks, and assists. Stat Shootout – Stat shootout will be named differently across all the sports, and the name will be tied to what they are offering. For example, Reception Connection is for picking three players to get to the target goal they set for receptions. There are three different target goals, and each get harder in difficulty, but also pay out more. You will choose the tier you want to beat, meaning that even if you select the first one and beat the third, your prize money is based on the chosen tier. Fantasy Challenge – If you are looking for strictly fantasy points, the fantasy challenge is a chance to select three players that will accumulate fantasy points to try and beat the set number. Like Stat Shootout , there are three tiers of prizes you can get, with the difficulty going up. You will choose the prize before you submit, which will be your goal. 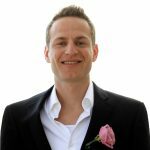 Rapid Fire – Rapid Fire is a game that has been around the fantasy world, and you will remember if you ever played on DraftDay back in the early stages of daily fantasy. Rapid Fire is a game that gives you a select amount of combinations of players against each other. For example, Tom Brady would be going up against Jared Goff and you have to select whoever finishes the most passing yards. Moving to rushing yards, receiving yards, and receptions you have to pick the highest amount between other players as well. Getting them right will allow you to claim your prize. Prizes vary depending on which rapid fire you choose. There are some where you can miss one, or only have to choose from two sets. There are also some where you can’t get one wrong, and need to get all five right. If you are familiar with the industry, you know that there are cash games and tournaments. If you are not familiar, a cash game is a lesser risk contest where 50% of the field wins. A tournament is around the 30% win mark, but a higher chance of a big payout. There are not double-ups labeled or tournaments labeled within this site because of the unique contest styles, but there are ways to negate risk. Cash games should be considered low risk games like investing in contests that have lower tiered prizes to complete, or have you select a minimal amount of players to get right. If you are looking for higher stakes, you can play higher risk contests where you have to hit a higher tier or success rate to cash out. Because these contests are predetermined players and tiers, there are occasions where a player will not be playing and will still be in a contest. When this happens, and a player does not play, the contest will be cancelled and refunded as soon as there is confirmation of the player not playing. Support consists of a standard emailing system, and the help button is right in the bottom right corner of your screen. Responses should be within 24 hours of email. A lot of the scoring is based on real life individual stats. You might solely be looking for a player to pull down ten rebounds, and that is all you need. That makes the scoring easy, which means you are just looking at box scores and not relying on fantasy points. However, there is the fantasy challenge that does track fantasy points, and in that case you will need to go more indepth on scoring. NFL – NFL is pretty standard scoring per the rest of the industry. The only major note here is that it is a PPR site, so you get one full fantasy point per reception. Players will get return touchdowns added to their fantasy stats, and for turnovers a fumble is -2, while an interception is -1. NBA – We don’t see much efficiency scoring anymore in fantasy basketball, but that is not the case here. A missed field goal is -0.25, and the same goes for a missed free throw. Turnovers are -0.5, so there are a lot of chances to lose points which isn’t the case on other sites. The scoring is also not on par with NBA Fantasy Scoring Standards, which means it is just two points per block and steal. They also have a three-point, double-double, and triple-double bonus. MLB – MLB is simple scoring, a single equals five points, a double is ten, and so on. You get five points for each a run, RBI, walk, HBP, and SB. If you record an out, it is -1. For pitchers, if you allow a runner it is -1. An earned run is -3, while innings pitched is three for a complete inning. Pitchers are awarded bonuses for no hitters, shutouts, perfect games, and complete games. 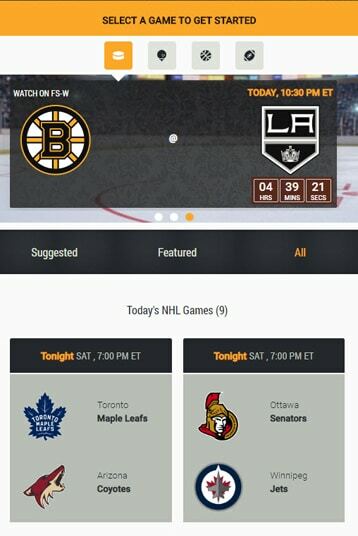 NHL – In NHL they have added power play points and short handed points. This is a great way to increase scoring and add more fun to the game. They also give a point for the plus/minus, which means being on the ice when a goal is scored for or against your team. Goalies also get a shutout bonus. Golf – Golf scoring is simple, as rapid fire tournaments are just made for strokes for or against. Player with the lowest score will win. Withdrawing your money is easy. You have two options at the moment. You can get mailed a regular check, or receive an eCheck, which comes in your email instead of your physical mail. The eCheck is a quicker process. This can take 1-3 business days, per the site. Monkey Knife Fight’s withdraw minimum is $20. 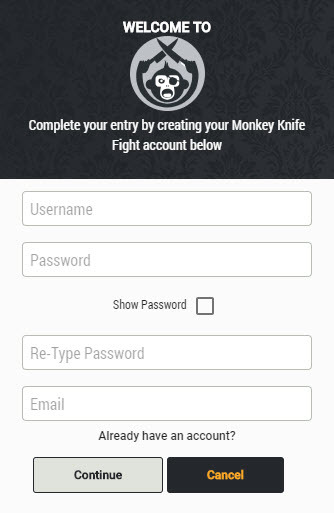 Monkey Knife Fight is an easy site to navigate around, with a sidebar that brings you all your menu needs. You can easily switch sports and various contest selections to filter through what you want to play. There is no app yet, but the website is optimized for mobile use. It is also a clean navigation like the desktop website. If you are on a tablet, the default is the desktop website. Monkey Knife Fight falls under the category of daily fantasy sports, which means it is legal in all states where you can play DFS. You must be 18+ years of age and a resident of an approved US State (AK, AR, CA, CO, CT, DC, FL, IL, KS, KY, MA, MD, MI, MN, NE, NH, NM, NC, ND, OH, OK, OR, RI, SC, SD, TX, UT, VT, WV, WI, WY) to use Monkey Knife Fight. All registered users are required to supply identification information including your name, residential address, and date of birth. Bonus funds are awarded for various promotions, like free contest and deposit bonuses. They operate as site cash until they are used in contest and won back as real money. When you deposit, Monkey Knife Fight will match with promotional dollars. They are eligible for contests, and not withdrawal. They only serve as value on the site. If your promotional dollars go unused for over three months, they can be reclaimed. When Do Funds Get Credited To My Account After Winning? All contests are considered complete after official statistics providers have confirmed game scores and stats. When Will I Receive My Withdrawn Money? A check will be received in 3-5, or cashouts will go back on the original payment source first before issuing a check. Responsible Play is the site offering a self exclude mode from the site for a set period or time or permanently. There are also deposit limits and a timeout period that lasts 30 days. Bonus funds expire if they are not played within one month of being awarded them. Beginner contests are contests that exclude players with a select win rate and are now considered seasoned players. Can I Edit My Lineup? Over/Under, Stat Shootout, and Rapid Fire games are all final upon submission, but you can cancel up to 30 minutes before game time. How Do you Confirm A Player Did Not Play? NFL – The player is inactive for the game. NBA – The player plays zero minutes in your contest (Full or Half). NHL – The player has zero time on Ice. SOCCER – The player has zero time on pitch. GOLF – The player does not record any stats in a round. MLB – A hitter does not record a plate appearance or offensive stat. A pitcher does not record any stats.